I know that every time I start working out again after a break, I usually end up pretty sore. Even if you are just mixing up your regular routine for a little bit of muscle confusion you are probably feeling some serious muscle soreness. So what tips and tricks are out there that help with fighting muscle soreness after your workout? Well I have a few things that will ease your pain…but first let’s understand why we get sore in the first place. I know you read that question and probably think, “I already know what causes muscle soreness, exercising.” Well, you’re not wrong, but let’s dive a little deeper here and truly understand why your muscles lock up on you after any intense workout. Delayed Onset Muscle Soreness, or DOMS for short is that natural soreness that builds up in your muscles a little bit after your workout. If you’ve ever realized that you are much more sore after around the 24 to 48 hour mark, that’s because of this DOMS phenomenon. This is partially the reason I am so adamant on being careful when performing any sort of rest day workout. DOMS is relatively common in any athlete because usually you are pushing your muscles beyond their normal routine. Quite frankly, this is what you should be doing if you want to see muscle growth. The act of creating micro-tears in your muscles, and your muscles repairing that tissue is actually what muscle growth really is. When you perform any sort of lift, or do some sort of cardio your muscles are lengthening and contracting. This is why running uphill or performing a compound/complex lift can be more beneficial to muscle growth than your standard exercises. Nobody is going to avoid soreness completely. If you did, it probably means that you didn’t truly work your muscles as hard as you could have. Even the most elite athletes in the world, even with proper hydration, nutrition, and recovery methods can’t eliminate soreness completely. However, these people do know how to help alleviate some of the pain that coincides with muscle soreness. The cool down is perhaps the most important thing you can do for recovery and to avoid sore muscles. I never realized the importance of the cool down, or executing it properly until I set three PR’s in a day at a swim meet and my coach forced me to swim 1,000 yards at the end of the meet. Prior to this occasion I would simply perform a 300-500 yard cool down which usually only took me maybe 5-10 minutes and I always wondered why I was so sore the next day. I later learned that after my 1,000 yard cool down I would have almost zero soreness coming off of one of the most intense meets of my life. Coincidence? Nope. It turns out that a cool down phase helps tremendously with soreness due to the light aerobic exercise that it provides directly after a workout. This stretches your muscles and gradually returns them to normal operation rather than them going directly back to zero activity after the high intensity strain you have had them under for the duration of your workout. I stress stretching all the time. The lactic acid build up in your muscles is a main contributing factor to soreness. Stretching helps to eliminate this. Far too many people don’t understand the importance of even a short stretch session after your cool down period. Your muscle has a natural tendency to contract after workouts. Usually a muscle will go from lengthening during the workout, to your post workout soreness period which results in contraction, then a spasm, and ultimately the tight feeling that overwhelms you after some hours. When you stretch you eliminate the immediate contraction and extend your time to soreness or eliminate a large majority of the soreness that will occur. A massage can help with soreness as well. While painful, it could be necessary. If you are anything like me your muscles will tend to knot up after a workout, especially in my back and shoulders. If you have this same problem, a massage may be the best answer aside from stretching. Sometimes direct pressure may be the only thing that can break down the buildup of impurities that cause these knots. If you end up with knots in your extremities, this is usually an easy fix with a foam roller or through massaging out your own knots. While rolling is probably one of the most painful things you will experience (especially in the legs), eventually you will get used to it and I’ve actually gotten to the point where I can usually lift more when I roll out really well pre and post workout. Heat and Ice are the tried and true methods to reduce inflammation and increase blood flow to the muscles. When you heat up your muscles by applying a heating pad, warm towel, or by hanging out in the sauna you actually are allowing your muscles to experience an increase in blood flow. Increased blood flow means more oxygen to your muscles and therefore more muscle repairing nutrients are transported to the location of micro-tears within these muscles. On the other hand, you are probably experiencing some serious inflammation. In order to eliminate inflammation, you’ve probably been told time and time again to ice the area. 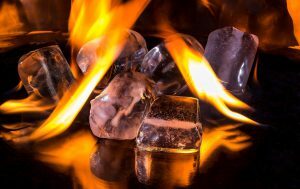 If you are in intense pain it’s probably because of the inflammation and ice can help reduce that. One of the key ingredients of almost every post workout shake I make is berries. You may be wondering why that is… besides needing some healthy sugars here and there berries are packed full of antioxidants. Antioxidants have been proven to help reduce muscle soreness. If you don’t want to go after berries, there are vegetables out there packed full of antioxidants as well that can do the same work. Personally I just blend up berries, almond milk, and some flax/chia seeds in my NutriBullet… All this combined with some coconut oil for fats and you’re set for the best post workout shake that I’ve ever had. (Don’t forget the bananas). Lastly, make sure you consume the right amount of protein. I am not telling you how to get your protein…for the sake of all the vegetarians out there…but I personally eat what I need in good quality meats. If you have any tips or tricks for getting rid of muscle soreness, or you have used some of these methods and want to support, drop me a comment below, I’d love to hear about your experience with this subject! A great article – really helpful explanation as to the cause and remedies in simple layman’s terms. Great article! One other thing I’ve read over and over is that drinking a good quantity of water is really helpful in flushing the toxins out of your system that can be released after a massage or a good long stretch. While I’ve used that method with success, I haven’t much tried the heat or ice other than when I’m in pain. I think I’ll give it a go tonight since I’m already sore and haven’t even made it to bed yet! This is very very true and actually an important point that I didn’t even think about adding. Thanks for catching that! This is especially true of massages. I know it’s always a good idea to use the restroom before a massage if you did drink a bunch of water too as it does a lot for flushing your system. Let me know how the heat and ice goes with the soreness. It’s really a classic method. I really use that mostly when I’m really bad after legs day but for the most part I can get majority of soreness out with a good stretch. I usually use the stretching method that you mentioned, I know that it is very important for me to stretch after I exercise because otherwise, my muscles get sore the morning after. I didn’t know that berries have antioxidants… I always drink shakes after my training but now I will add some berries to them! Thanks! So true! Ten minutes is usually the golden number I think for me for a nice stretching session. Good to hear that I’m not the only one that has taken this method to heart. Keep up the good work and definitely give the berries a shot! I learnt a whole lot from your post. I began my fitness journey about a year ago doing yoga, meditation and walking and started going to the gym only about 5 months ago. I experience body aches and pains after most work outs and I take pain killers. I do a few stretches after working out but I guess I havn’t been doing enough. Anytime I’m sore I’ll definitely try other options you have suggested like heat and ice and massage. 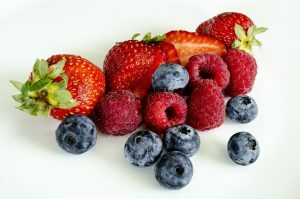 I love berries and eat them regularly but I haven’t made smoothie with them in a while so i will start making it again! Thanks for such an informative post! While pain killers can be effective, it’s not my preference when it comes to soreness. I am unsure if some of your issues are stemming from more joint pain or something along those lines in which a doctor could totally help you with much better than I ever could. If it’s just soreness though definitely give these tips a go. I’d love to hear whether or not stretching more and the berry smoothies help. Stop back in and let me know! Glad you got some value out of the read.